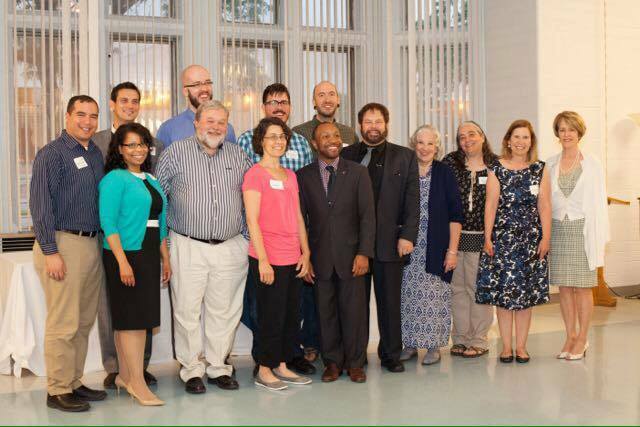 This morning when I opened Facebook, I was greeted by this memory from 4 years ago: “Last class of EYSJ today for all my Diocese of Michigan friends out there. We ended with a beautiful Eucharist together. It’s been a long 9 months but worth every minute of every long drive, sometimes tedious assignments, and every anxious moment. I made some amazing friends as we have been traveling this journey of discernment together – and I hope they will remain part of my life for the years to come!! Let me recommend this course to anyone who might like to deepen their walk with our God!!!! Praise God from whom ALL blessings flow!! !” Granted, I went a little overboard with the exclamation marks but it was a very special time, indeed. How timely that sentiment is today since we celebrated this year’s Exploring Your Spiritual Journey graduates just last night at the Cathedral. After participating in this 9-month long course of discernment, I was blessed to serve as the lay facilitator for EYSJ for the next 2 years – and I feel just as strongly about the program now as I did then. The process of discernment is lifelong; it is a journey that may make twists and turns but really never ends if we are open to the Spirit’s work in our lives. Believing I can grow to become more and more Christ-like and more aware of how I might serve God best gives me hope for the future. And that’s what Lifelong Christian Formation is all about. One of the Bible verses that I hold onto comes from Paul’s letter to the Philippians: “but this one thing I do: forgetting what lies behind and straining forward to what lies ahead, I press on toward the goal for the prize of the heavenly call of God in Christ Jesus” (Phil. 3: 13b – 14, NRSV). Christian formation is that pressing on to what God has for us now and in the future. 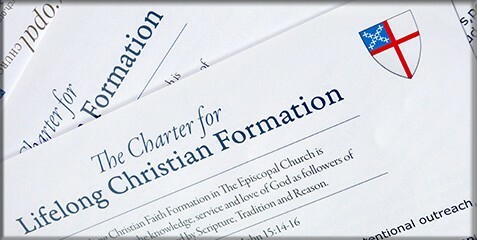 Resolved, That dioceses and congregations adopt The Charter for Lifelong Christian Formation and annually review the ways in which their Christian Formation ministries reflect and embody The Charter. informed by Scripture, Tradition and Reason. Merely attending classes will not fulfill all of the points of The Charter; living into The Charter is a lifestyle. As we are transformed through God’s grace and the knowledge we receive, we must then take what we learn and go out to witness and serve and love where God calls. I am excited by the possibilities. Are you? to your glory and the welfare of your people; through my Lord and Savior Jesus Christ. Amen.